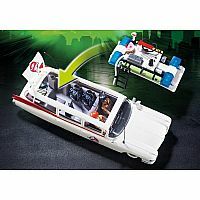 Speed through the city in the iconic Ecto-1! 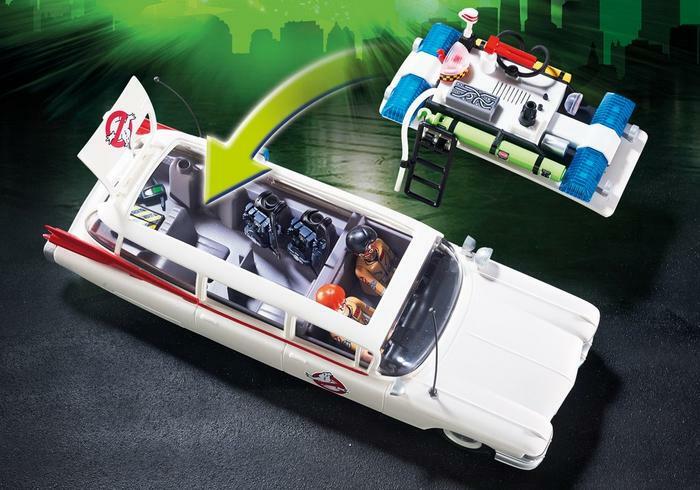 This legendary action vehicle has plenty of space for proton packs and ghost traps thanks to the detachable roof. 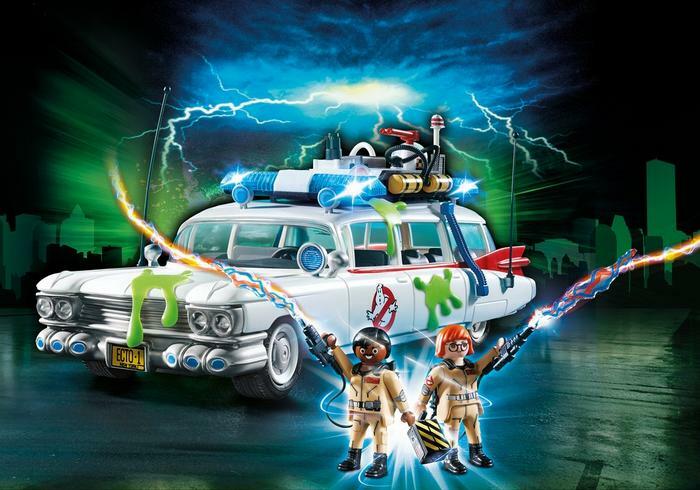 With original sounds and functioning lights, this vehicle is set for ghostbusting action. 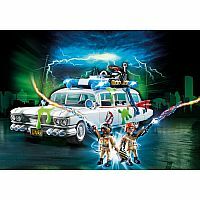 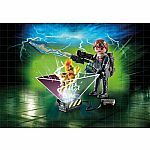 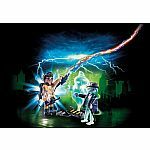 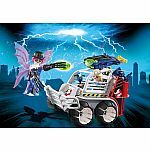 Set also includes Ghostbusters Winston Zeddemore and Janine Melnitz in their official uniforms with two detachable proton packs and proton lasers, ghost trap, PKE meter for measuring psychokinetic energy, and silicone slime splatters that stick to smooth surfaces. 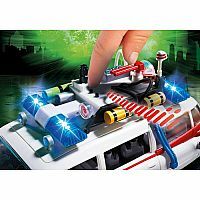 3 x AAA batteries required. 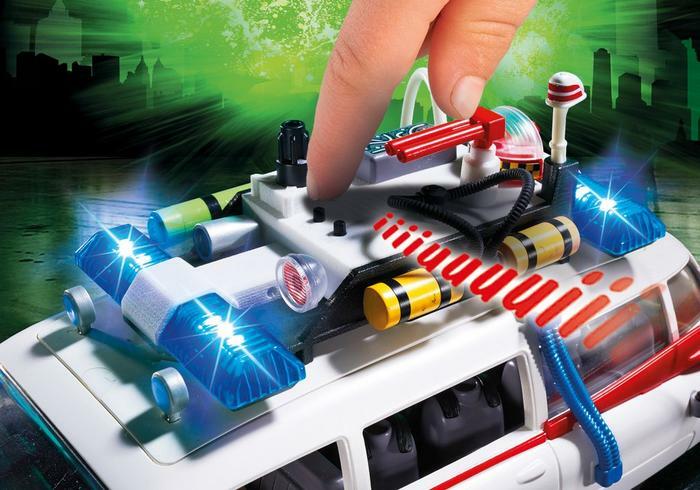 Recommended for ages six years and up.